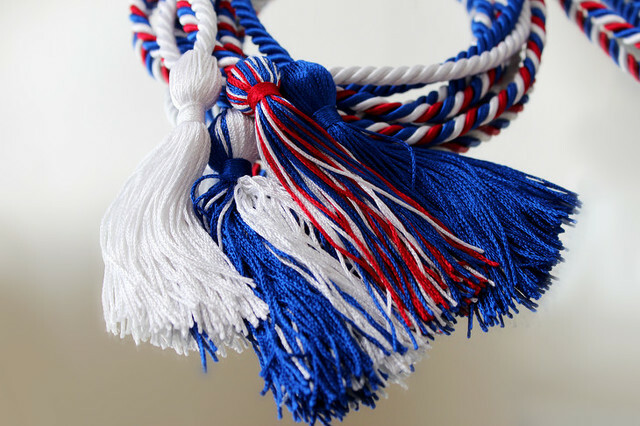 United States service members and veterans graduating May 6-8 at Penn State campuses will don, for the first time, military honor cords with their caps and gowns. The cords will be worn by undergraduate and graduate students who have honorably served, are serving or are commissioned to serve in the U.S. military. Olivia Washington was a sergeant in the U.S. Marine Corps when she began taking classes through Penn State World Campus. Her role as a Marine was to provide internal security at U.S. embassies in the Philippines, Slovenia and Venezuela. She finished her degree programs at University Park where she earned a M.S. in Human Resources and Employment Relations, a B.S. in Labor Studies and Employment Relations and a B.S. in Psychology. As a veteran, Washington will be wearing military honor cords at graduation. “We don’t necessarily stand out as we walk across campus or sit in the classroom—and to be honest, we don’t want to stand out—so it’s heartwarming and humbling when the school makes an effort to recognize military students,” Washington said. Washington also served as president of the Service Women’s Advocacy Group, a group she founded to complement current service member programs. “If it weren’t for the engagement efforts of the Office of Veterans Programs and the Office of Adult Learner Programs and Services, I would’ve missed out on all that Penn State has to offer beyond the classroom,” Washington said. U.S. Air Force Senior Master Sergeant Juan Valles, Jr., is a Penn State World Campus student currently serving in Germany. He will visit University Park for the first time for graduation. Valles earned a B.S. in Criminal Justice and will also be wearing military honor cords when he receives his diploma. Valles has served 17 years in the U.S. Air Force and plans to serve overseas for another three years before retiring to pursue work in criminal justice as a civilian. The military honor cords program was implemented to recognize students’ service to their country as well as their academic achievements. For more information for about services for military students, visit the Penn State World Campus and Penn State Undergraduate Admissions websites. 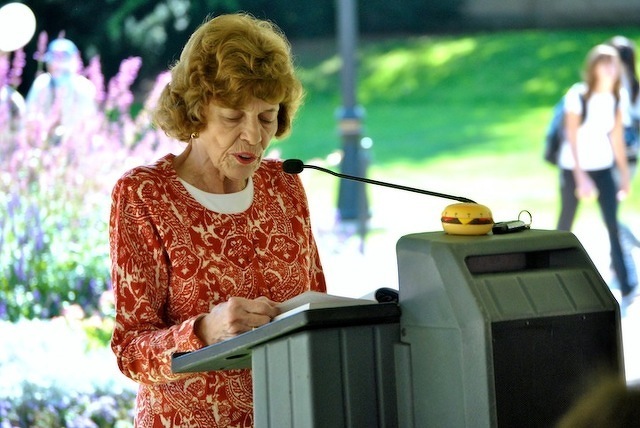 At the close of Friday afternoon's Penn State Board of Trustees meeting, trustee Al Lord took to the podium at the Penn Stater Conference Center Hotel and read a letter delivered to him from Sue Paterno earlier in the afternoon.